your home or business with the Mercedes-Benz of your choice. We want you to know how much we appreciate the opportunity to do business with you. You have choices, we have created a program with you in mind so that it is easy to make that choice. Let us show you how easy. 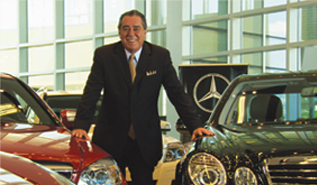 Welcome to Felix Sabates Mercedes-Benz of South Charlotte.